Till about decade ago India was a taste-driven country but now the growing trend of “eat healthy and stay fit” has caught the attention of one and all. When we talk about health and nutrition, milk has a very important role to play in shaping our lifestyle and culture as it was associated with making our bones healthy and boosting our immune system. Right from a glass of milk in the morning to the milk that goes in the preparation of sweets, the consumption of milk can’t be ignored even though the new research is contradicting the old beliefs. For years, animal milk has been a staple in the Indian households. However, with people on the lookout for good health tips and becoming more and more aware of the advantages of consuming plant-based milk, we can see a clear shift in their consumption pattern. There are a variety of non-dairy milk options available in the market including nuts, rice, coconut, soy and hemp. 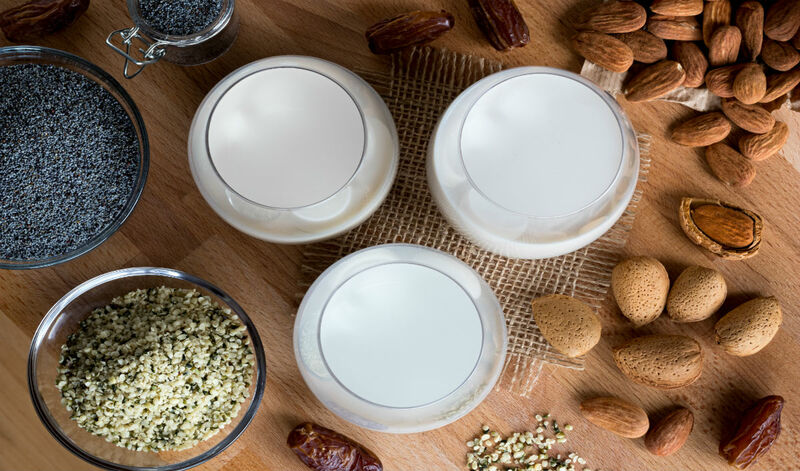 These plant-based milks are obtained from plant sources and are mixed with water. Plant-based milk is not just a trend or a fad but it here to stay for the long run and even dieticians and nutritionists recommend shifting from dairy products to plant-based milk. Coming to its nutritional information, it has a high source of vitamins and minerals which is an essential part of the wellbeing of a person. Consuming plant-based milk has a lot of benefits but one of the major benefits is definitely the fact that it’s extremely easy to digest. Animal-based milk nearly takes four to six hours to digest while soy milk takes hardly half the time. 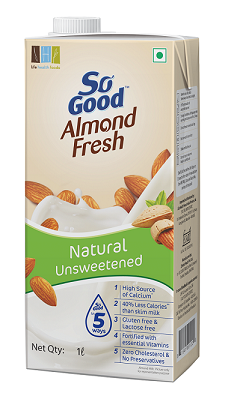 A lot of consumers do believe that almond milk is a better alternative to animal milk as it contains a high source of vitamin E, potassium, iron and the highest level of calcium of all the nuts. They are widely regarded as ‘brain food’ in Indian culture. Soy milk contains a large amount of proteins and is naturally sugar-free. It’s also a natural remedy when it comes to arthritis, cholesterol and diabetes. Not only that, it’s also an excellent supplement when it comes to weight loss. Coconut milk has a huge importance in the South Indian as well as Thai cuisine. It’s believed to improve heart health by reducing cholesterol levels in our body and also helps to reduce fats and build muscles. Those who are allergic to cow milk (commonly referred to as lactose intolerance) can easily consume this milk and enjoy all the positive effects on their health and nutrition. Being a vegan is another popular option for a lot of people nowadays and with this high number of people turning vegan, plant-based milk has become very important to meet their dietary needs. Being healthy is a choice we all have to make and the sooner we make the better it is! About The Author: A marketing and retail professional, Rohit Bhagat has worked in the FMCG & Retail Trade for over 17 years. 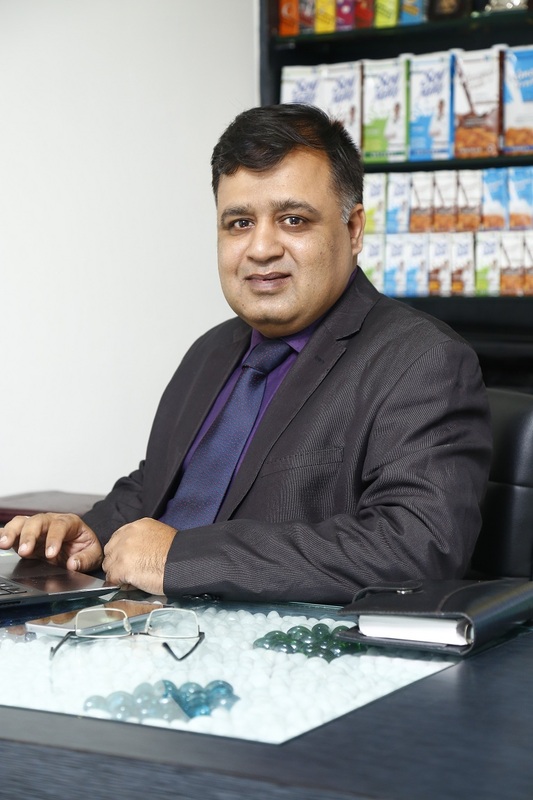 With experience in Category Management, Sales and Marketing with organisations like ICICI Bank, Reliance Retail and Aditya Birla Retail, he is presently the Indian business head for Life Health Foods India Pvt. Ltd. This is part of Sanitarium Health and Wellbeing Group, Australia, one of the world’s leading health food companies, providing best quality healthy products at an affordable price. It’s a pioneer in creating dairy-free plant-based products like soy and almond, making it a healthier option than animal-based milk. The unsweetened variant of these milks is highly preferred by those who are looking to reduce the sugar intake and also by diabetic patients.